You may feel your teeth appear too short, or you have a "gummy smile". The appearance may vary so that some teeth are short while others look to be the right length. The teeth affected are usually the right length, but there is too much gum tissue covering the "short" teeth resulting in a "gummy smile". We can correct this with cosmetic crown lengthening. Excess gum tissue is gently removed to expose the proper length of the tooth. 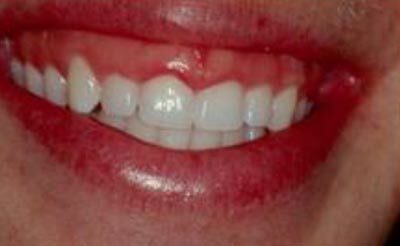 We can then reshape the gum to give you the attractive smile you always wanted through our approach to cosmetic dentistry. 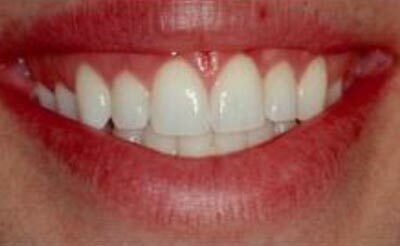 Cosmetic periodontal surgery (periodontal plastic surgery) can change a "gummy smile" or a smile line where the gum line is asymmetrical (uneven) and the teeth are different lengths. As you can see in the before and after photos, cosmetic gum surgery can give an "extreme makeover" resulting in a beautiful smile. Contact us today for cosmetic periodontal surgery that will give you the smile you have always wanted. We proudly serve patients in Manalapan and the surrounding communities throughout Central New Jersey.